• It is different from other applications which are complex and focus on past transactions. 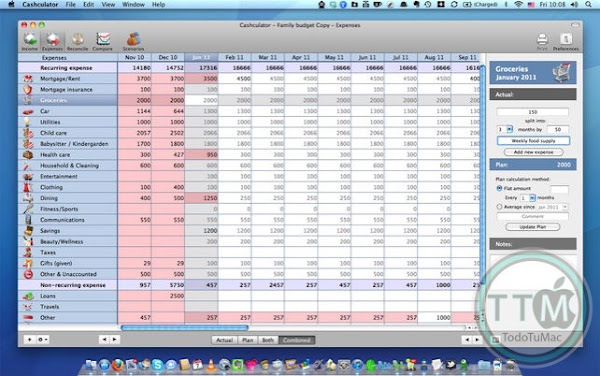 • Familiar spreadsheet concepts make Cashculator easy to use, visual and straightforward. • There is no need to define your accounts and configure the application, no complex dialog boxes, no credits, debits or portfolio management. 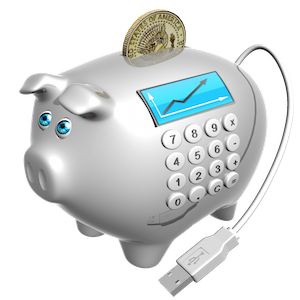 Just simple numbers: income and expenses. • You will become an expert user in no time thanks to the interactive tutorials that will teach you every aspect of using Cashculator. 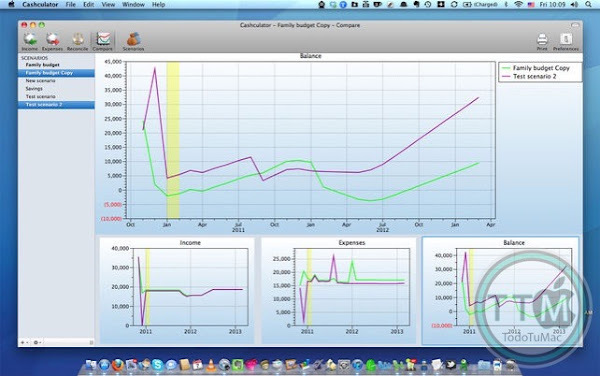 • Easy budgeting - separate planned expenses from actual ones. See where you stand compared to your budget. 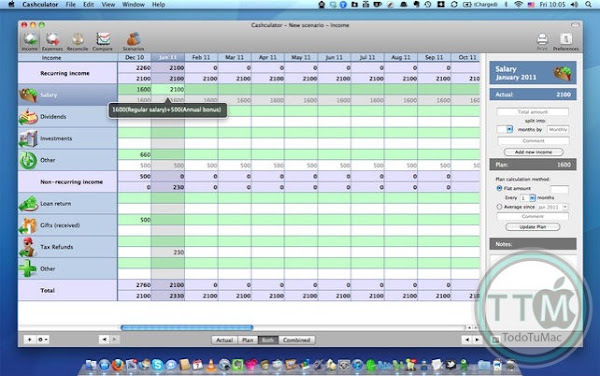 • Fast "what-if" scenarios comparison - duplicate your existing financial plan, make changes (i.e. increase salary, add trip abroad), graphically compare to existing plan • Easily split a purchase into several payments. 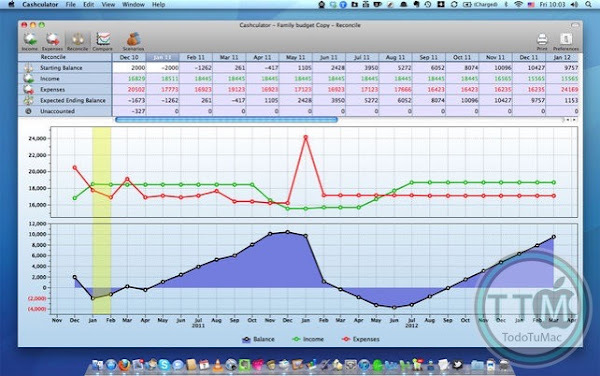 • Forecasting based on budget or on average of your actual spending. • Export to CSV now exports "Total" rows as well. • Fixes to some localizations.